How do I choose the right moisturizer for my face? Believe it or not, the most important thing about choosing a moisturizer is the weight, not the fancy ingredients. The wrong weight of moisturizer can actually cause as many, if not more, problems than the ingredients. If too heavy, it can clog your pores and cause breakouts. If not heavy enough, the lack of moisturizer can lead to premature aging. In choosing the right weight, apply a normal amount to your jaw line. Wait a few seconds and check the area. 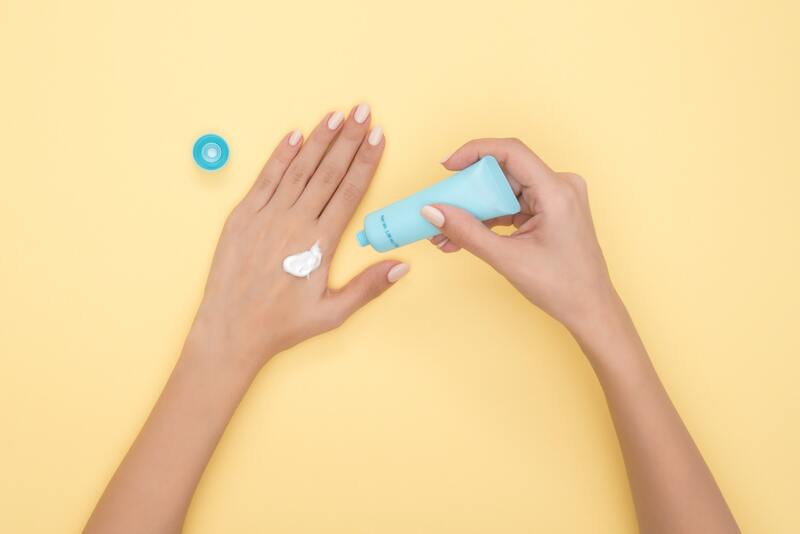 If the moisturizer feels sticky or greasy, it means that it hasn’t absorbed into your skin and is too heavy for your complexion. If the moisturizer soaks in and still feels dry and your skin feels taught, then the moisturizer is not heavy enough. Look for a moisturizer that soaks in to your skin, but your skin feels relieved and looks plump. Everywhere I look, all the makeup has shimmer and glitter. How do I embrace it without looking like a teenager? Shimmer can actually be your friend. Glitter, not so much. Leave glitter to stage performances. A bit of shimmer can actually make old skin look young. And, it is the easiest and cheapest way to freshen up your skin and bring about a youthful glow. But, if you overdue it, you could end up looking like an over-aged teenager. Keep in mind, dry and dull looking skin exacerbates looking old. So, the best thing to do is be strategic about your placement and amount. The best place to get the most bang for your buck is to apply a bit of shimmer along the base of your eyebrow along the brow bone. It gives the illusion of an instant lift to a sagging eye (which happens to all of us as we approach 40). Another good place for a bit of shimmer is along your cheekbone. Again, it gives the illusion of an instant lift to the face but it also gives a punch of glow and dewiness that is associated with youthful skin. It is okay to go for broke and put a bit of shimmer along the brow bone and the cheekbone. You’ll be amazed at how your friends will compliment your new youthful appearance. I’m 40, should I be wearing foundation? Not necessarily. Determining when to wear foundation has nothing to do with how old you are. In fact, I would argue, that if your skin looks good, you should avoid foundation because it can make you look older than you are. Using foundation has more to do with the condition of your skin. If your skin is blotchy and uneven, you may want to consider wearing foundation. If not, skip it all together and apply a good moisturizer. Remember, foundation’s primary goal is to even out your skin tone to create a monotone surface in which to apply color. Think of foundation as the canvas before applying the artwork – eye shadow, cheek color, lipstick, etc. A triple milled soap is actually three soaps milled into one. The process of milling three soaps into one is a lengthy process taking months to produce a single bar of soap, but it provides users with a soap that lasts much longer than its counterparts. A triple milled soap usually lasts a month or more. Also, the French have the oldest and best known milling process which is why triple milled soaps are often known as French triple milled soaps. Do I need a lip liner with my lipstick? Most of the time lip liner is a personal preference. For some, they do not feel complete without lip liner. The only time lip liner is absolutely necessary is if (1) your lipstick tends to bleed, no matter the color and (2) if you are wearing a deep and dark color like red, which bleeds on everyone. I would not recommend lining your lips when wearing lip-gloss. What you can do, however, is use a lip liner to fill in your lips to add more color and staying power to your lip-gloss. What are hair powders or dry shampoos? Hair powder and dry shampoo are actually the same thing but referred to differently. These are essentially talcum powders that have been colored to match your hair color. By applying the hair powder/dry shampoo to your scalp, the powder will soak up the excess oils and freshen up your hair as if it was washed. Basically, the powders give life to second day hair without having to wash your hair. « Dida’s Distillery – Pressed…Not Mashed!